Planning your next big event? Look no further! 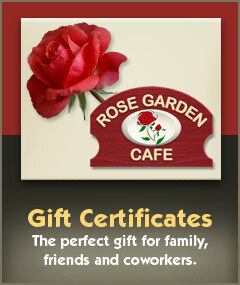 Banquet facilities are available right here at The Rose Garden Cafe. We would love to be the host for your next business meeting, retirement party, birthday, wedding, shower, christening, confirmation, anniversary, bar mitzvah, graduation, funeral, or memorial. Our recently renovated banquet hall is a gorgeous and spacious area that can comfortably accommodate parties from 20 to 140 guests. 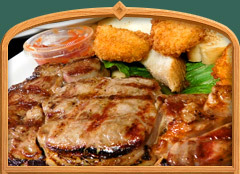 We offer various pricing options to fit any and all of your needs: From individual entree, to family style, to buffet style, to just plain appetizers, we can plan it just the way you want it for any time of day: breakfast, lunch, or dinner! We also offer full bar in the hall for you and your guests to enjoy the occasion with your favorite beverage. Our bar options range from just beer and wine, to a cash or charge bar, to open bar! Ask for more details. 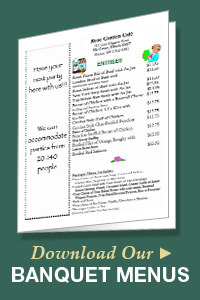 To view our many banquet options download our Banquet Menu (PDF). 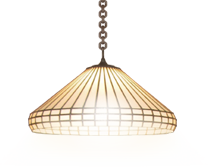 We're very flexible and are willing to cater to all your wants and needs. Please call us today at (847) 952-1881 for more information about banquets at The Rose Garden Cafe in Elk Grove Village.